With just a few days to go until ‘Total Eclipse 2017’ is within view, the N.C. DOT has posted traffic warnings on its highway message boards: “Solar Eclipse Aug. 21 / Plan Ahead.” It is increasingly likely that prime viewing spots will be over-run with eclipse enthusiasts. 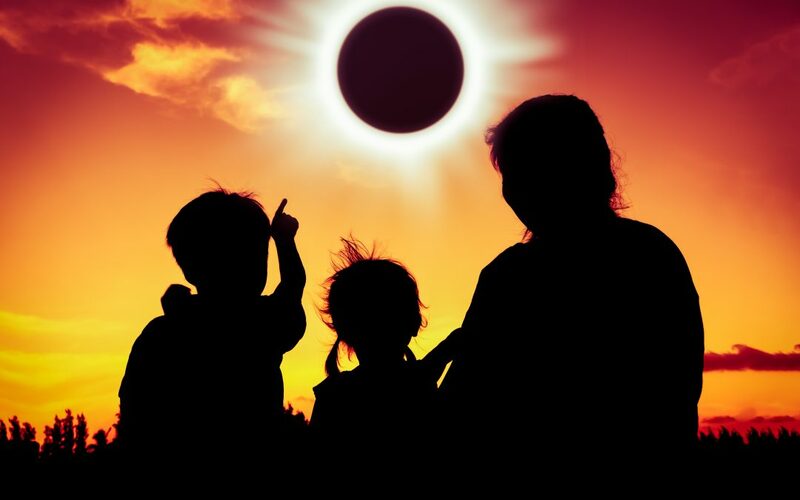 Your best bets for uncomplicated viewing will be to prepare for a hike to a more remote viewing spot, or sacrifice totality for a partial eclipse experience. The mountain towns of Sylva, Dillsboro, Franklin, Bryson City and others in the path of totality have big events planned. If you don’t mind crowds and don’t mind rising early (the gates to Gorges State Park open at 5 a.m. Aug. 21, three hours earlier than usual), then RomanticAsheville.com has a comprehensive rundown of planned events. Shining Rock Wilderness. Most people access Shining Rock via a forest service road at Milepost 420 of the Blue Ridge Parkway. Stop! You’ll want to avoid the parkway on Aug. 21: with so many prime viewing locations along the mile-high ridge between Pisgah Inn and Waterrock Knob, expect a massive traffic jam. 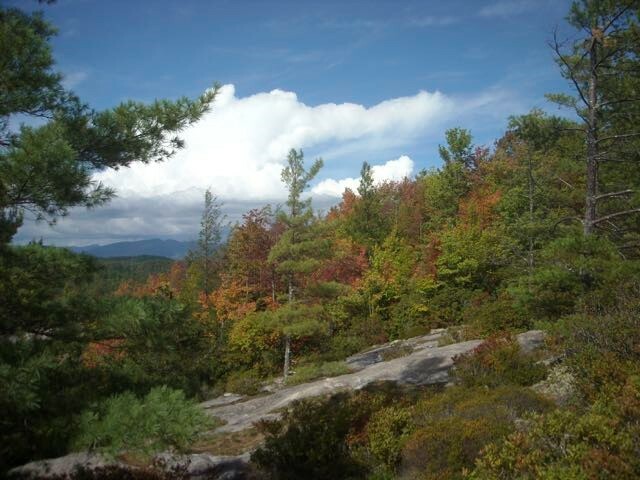 Rather, you can access Shining Rock from the Daniel Boone Boy Scout Camp on the north side of the wilderness. 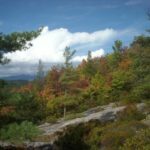 There’s a 3.7-mile hike to get to the top of the Shining Rock Ledge, then another 3 or so to Shining Rock: you’ll be far enough from the Blue Ridge Parkway to avoid the masses. Little Green Mountain in Panthertown Valley, N.C. Curiously, Panthertown has gotten little mention, it’s just outside of Cashiers, where darkness will last for 2 minutes and 23 seconds and is known for its wide open spaces for viewing. The rock outcrop of Little Green Mountain might be worth a trip. Imagine throwing down a blanket, and reclining in total darkness, with your approved eclipse glasses, of course. It’s a little more than three miles of hiking from the Salt Rock Gap Trailhead. So prepare for a workout if you decide to view here. If you’re good with a 92, 93, 94 percent experience, then you have all sorts of options. Viewing events are planned at North Carolina State Parks statewide. While the Piedmont of North Carolina is defined by rolling hills covered in forest, there are plenty of open spaces that afford a spacious view of the sky. ・ Crowders Mountain State Park, Kings Mountain (Charlotte area). Prime spots: the lake near the Visitor Center, The Pinnacle, Crowders Mountain. ・ Weymouth Woods-Sandhills Nature Preserve, Southern Pines. Prime spot: near the Visitor Center. ・ Pilot Mountain State Park, Pinnacle (Triad). Prime spot: Top of the mountain, though because the parking lot at the top may be full, try hiking up from the Corridor Access, on the Mountain and Grindstone trails. ・ Hanging Rock State Park, Danbury (Triad). The short trail to Hanging Rock will be packed; rather, try the 4.2-mile loop up to Moore’s Knob, which has an ample southern exposure. ・ Little Long Mountain, Uwharrie National Forest, Asheboro. It’s less than a mile from the Joe Moffitt trailhead to this open summit offering the lone open view on the Uwharrie Trail. ・ Jordan Lake State Recreation Area, Apex (Triangle). Prime viewing: The beaches at Ebenezer and Seaforth should be especially good. Better still, bring a boat and watch the sun disappear from the water. Turn your headlights on — do not rely on your automatic headlights when the eclipse blocks out the sun. Prepare for extra congestion especially on the interstates in the path on the day before, the day of and day after the eclipse. If you are unable to get to any of the locations listed below, don’t worry – NASA has you covered with a desktop/web application. Make sure your IT department is okay with the download and watch while you work. Enjoy the show because it will be awhile before the sun and moon swing this way, at the same time, again.